There is nothing more that I want than to reach all Claud's milestones. And as new parents, I can't tell how daunting the tasks of ensuring she meets a lot of her firsts. To realize how important it is for our children to get the full sleep they need at night. It's true how they are less cranky and less prone to tantrums when they have a full night's sleep. Claud at one year and six months old has been such an active baby and it's been difficult to put her to bed at night! That's why I can only entrust my Claud to the Pampers Baby-Dry diapers we have been using for almost a year now. We couldn't risk her getting disturbed at night when we finally succeeded in putting her down. And during her morning and mid-afternoon siestas, using Pampers Baby-Dry has been a big help in helping her get 2 hours sleep each. And what's awesome, Claud never got any rashes since we switched to Pampers Baby-Dry. 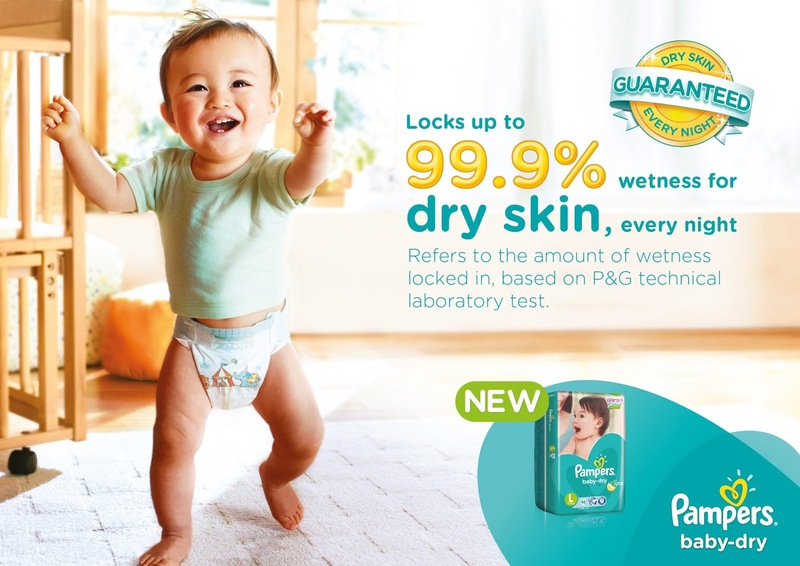 Robinsons Manila, 11 am at the The New Pampers Baby Dry 99.9% Dryness Challenge! Bring your non-Pampers diaper and take the challenge! Choose the diaper that protects your baby from wetness and get a chance to win "Baby's First" prizes like stroller, play set, high chair and more! Amazing, right? Mommies from Metro Manila, here are the mechanics. Mommies from Davao and Visayas will also get a chance to join this challenge at Ayala Center, Cebu City on December 6, 2015, and Centrio Mall, Cagayan de Oro City on December 15 2015. Pre-registration is required so visit Pampers Facebook Page. The New Pampers Baby Dry 99.9% Dryness Challenge is guaranteed to delight and excite both mommies and babies all over the country as we continue our journey of firsts.